Lost your phone? We probably all have at one time or another and it borders between annoying and scary depending where you've been. If you didn't leave home then it's there somewhere. If you did then it can be a full panic. 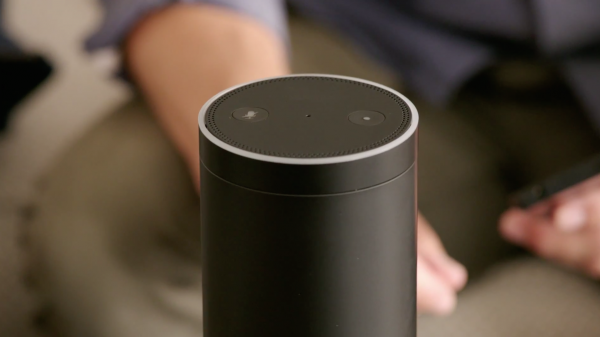 Now Amazon would like help via its Echo device. You're likely familiar with that by now, thanks to a TV ad campaign a while back, but it continues to do different things thanks to constant updates. The latest is the ability to locate your lost phone, providing it's within earshot of your location and that your ringer is turned on. The Alexa app is now touting its tie-in with TrackR, an app designed to find lost items. There's some minor setup work involved with this, but it's nothing too complicated. First, you will need to enable the skill on the Echo. To do this simply say "Alexa, enable find my phone skill". Next, you'll need to install the TrackR app on your phone. Finally, link it to your Alexa and test it out. Say "Alexa, ask TrackR to find my phone". If all goes well, then your phone should begin ringing. This obviously is not handy if you aren't home or close to the Amazon Echo then this becomes a non-workable solution, but phones are mostly lost in the home so it would be handy most of the time.